We took many taxis on our holiday in Egypt last week, most of them flagged down on the streets of Sharm El Sheikh. It’s always a big hassle to agree a price with the driver before you get in. You know from seeing official price lists and reading travel books and trip reports what constitutes a fair price, but still they laugh in your face if you mention anything near these prices and make you pay something many times more. When we visited St. Catherine’s Monastery on 13 October we had our hotel arrange an air conditioned taxi for us for the hotel’s fixed price of 550 LE (Egyptian pounds). 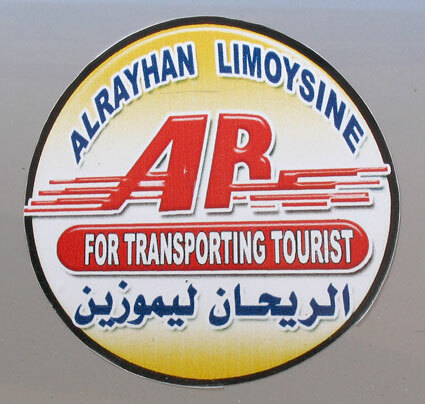 One recent trip report we read said that a fair price for a taxi for a full day was much less than that, but we were sick of all the haggling and decided to cough up the 550 LE (roughly 70 Euro) for the 460 km (230 km each way) journey. This entry was posted on Friday, October 19th, 2007 at 10:48 pm CET and is filed under Funny, Travel	with tags egypt, Funny. You can follow any responses to this entry through the RSS 2.0 feed. You can leave a response, or trackback from your own site.